We are a prominent importer and trader of an extensive range of CNC Router Machine. 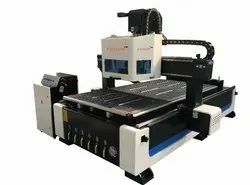 We are offering ATC CNC Router Machine to our clients. It has an auto tool changing system with 6 tools capacity. The atc system can move with the machine, high tool changing speed. Mainly used for wood furniture industry like processing wood door, cabinet door, art and craft Door, MDF cutting, wood board cutting and processing other non-metal materials, etc. We are offering Stone ATC CNC Router Machine to our clients. We are offering Automatic CNC Router Machine to our clients. 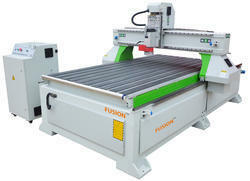 We are offering CNC Router Machine to our clients.